What is Wine + Tech + Food Conf (WTF Conf)? On March 5th, Sedgwick Reserve (3566 Brinkerhoff Avenue) is the place to be. WTF Conf is going down. There are less than 99 spots. And you're invited. Yes, we think WTF Conf is a very funny name. Yes, we did it on purpose. Read on. The Santa Ynez Valley has never seen an event like this. We're bringing the wisdom and insights of 12 world-class speakers to the Santa Ynez Valley. This is a handcrafted event, serving local wines and food. How Much Does WTF Conf Cost? It's only 99 bucks. (You spent more than that on wine this week.) WTF Conf is not a for-profit event. Our goal is not to make money, it's to make a lasting impact on the community. We interviewed winemakers, farmers, restaurant owners, tasting room managers, hotel executives and small business owners and many of you had similar questions. So we're bringing in twelve of the world's best experts to specifically answer your questions. Our speakers are rock stars in their fields. Not the self-proclaimed poser type, but the real deal. We've got the world's top crowdfunding expert, the guy who literally wrote the book on content marketing and a PhD in robotics from Oxford University (yes, the one in England). We've got the author of the #1 book on Facebook Marketing, an expert at Customer Relationship Management (CRM) systems, a irrigation-management expert and the woman leading the UCSB Smart Farm initiative and many more. Solving local issues can have global implications. Can We Actually Connect With The Speakers? Absolutely. This won't be the typical conference where the experts speak and then fly out. You'll have plenty of time to interact with them during the day. - Techniques for optimizing the lifecycle of the vine so that fruit, harvest and quality align. - The importance of the UCSB SmartFarm Initiative. - Drones, and their impact on agriculture. - Disease detection using near infrared and thermal imaging. - Water management and leak detection. - Wine club management (including list management and backend systems). - How to build the town of your dreams. - How to harness he power of Google, Twitter and Facebook. - Your Brand, Your Brain. - How to leverage Crowdfunding for your next project. - How to live your life with intention, doing work that truly matters. - How to build a community of rabid fans who purchase. - How to get sponsors....for anything. 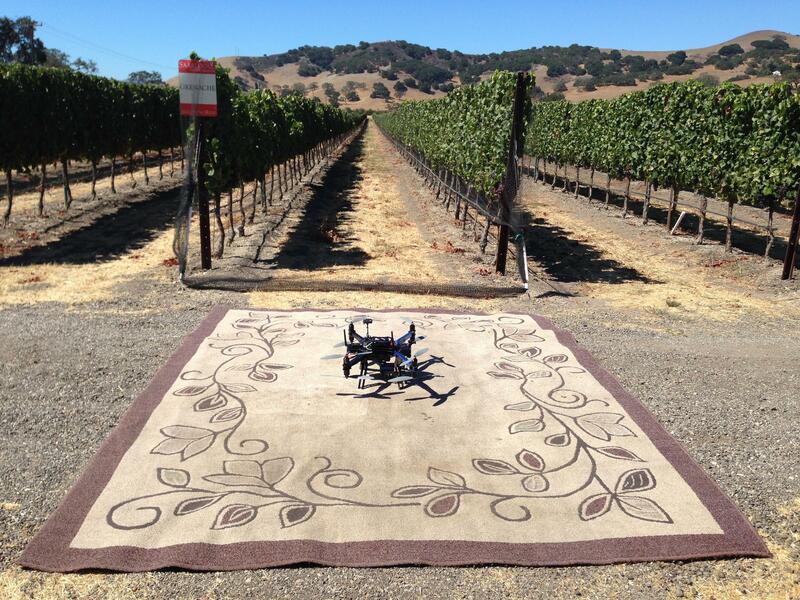 *****You'll enjoy local wine and beer while watching a world class drone pilot film the event. When that's done, check out the Hot Rods on display. Speakers will be announced daily, unless we're running late. Storyteller, Explorer & Humanitarian. Founder, Never Enough Days. Leads the SmartFarm Initiative at UCSB. Chief Scientist and Co-founder of AppScale Systems Inc. Professor of Computer Science at UCSB. Founder, I Wear Your Shirt and Creativity For Sales. As seen on the Today Show and the New York Times. Author of the best selling book, Facebook Marketing. Head of Global Social Media at Citrix. Blogs at Built Unstoppable about life after brain surgery. Entrepreneur and an amateur Neuroscientist working at the intersection of science, productivity and technology. Vanity Fair calls her "America's Tweetheart." Ph.D. in Robotics and Computer Vision from Oxford University. Co-Founder of VineRangers. Marketer by day, Ninja by night. Lisa built some of the largest subscription businesses on the planet. No joke. Millions of members. She'll teach you how to own your market. Fifth generation North Dakotan. Founder of Emerging Prairie & TEDx Fargo. Leads 1 Million Cups Fargo and is the Host of Midnight Brunch. Co-Founder & Director of Research, PowWow Energy. 4th generation farmer. Expert in irrigation and water management. Resident Manager at the Sedgwick Reserve. Former Wildlife Ranger in Yosemite. Bears, Lions and Foxes love her, but not that bat. In 2007, he was an unremarkably average financial executive in Manhattan, until he decided to start changing the world. Now's he's a writer, designer, entrepreneur, humanitarian and nomad. He's traveling around the world for 1,880 days. Director, Digital Marketing at Articulate. For more than a decade shes been perfecting the art of using Google and search engines. If your website isn't in the top 6 or 7 on page 1, game over. She'll teach you how to dominate the game. Clay has helped over 100 entrepreneurs raise over $25M on popular crowdfunding platforms Kickstarter and Indiegogo. David Baeza is a host of exceptional ability. Studies show that a vast majority of guests attending events by David have been known to leave more elated than visitors to Santa's Workshop, The Lost of Continent of Atlantis, and the Fountain of Youth. Mr. Shakespeare, what do you think about Optimus Prima? VineRangers are hosts of exceptional ability. Studies show that a vast majority of guests attending events by VineRangers have been known to leave more elated than visitors to Santa's Workshop, The Lost of city of Atlantis, and the Fountain of Youth.